Snapizzi Stars enable you to easily control the order that Subject photos appear when exporting for Bundles or Paper Proofing. Stars are optional. If they aren't used, the photos will export in the order they appear in the gallery. Stars can be set using LightRoom, Bridge, and any other software that uses a 1-5 star rating system. The ratings will be used to set the Snapizzi Stars upon import. The highest rated images will appear first on Bundles and Proof Sheets. You can manually set the Star ratings by clicking on them. 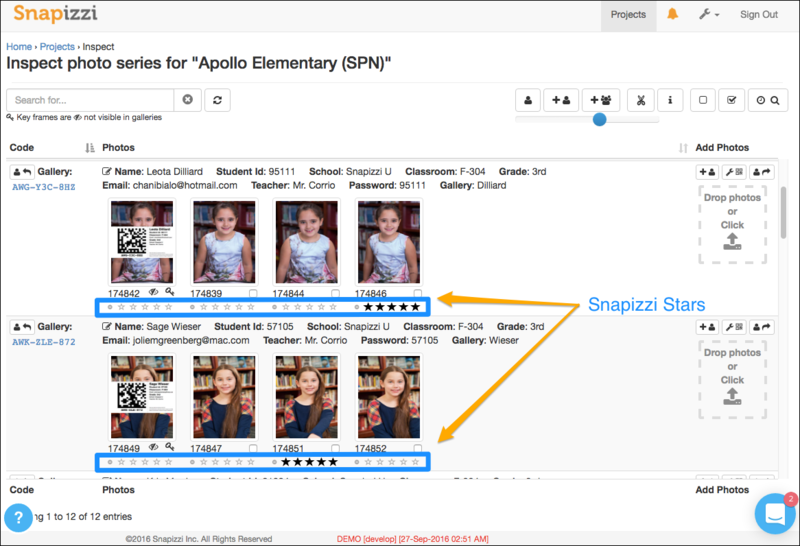 Snapizzi Stars are NOT written to your image files and they do not overwrite any applied star ratings from other programs.